At Whispering Pines there are 6,771 yards but no backyards to distract from your golfing experience. Whispering Pines offers a distinctive combination of challenge and beauty, carved out of 200 acres of towering pines and mature hardwoods by designers Finger, Dye, and Spahn. Best of all, you don't have to drive miles to find peace and quiet. 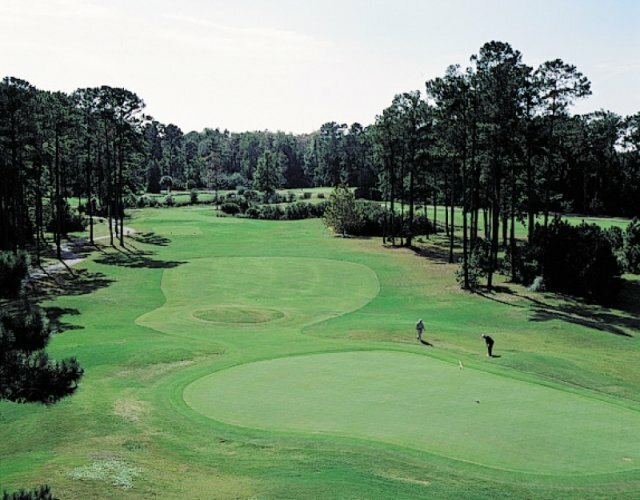 Whispering Pines is located just one-half mile from the outstanding oceanfront hotels and attractions of Myrtle Beach and their 16th hole is only a driver and a 5 iron from the Myrtle Beach Airport making it a perfect course before or after your flight. 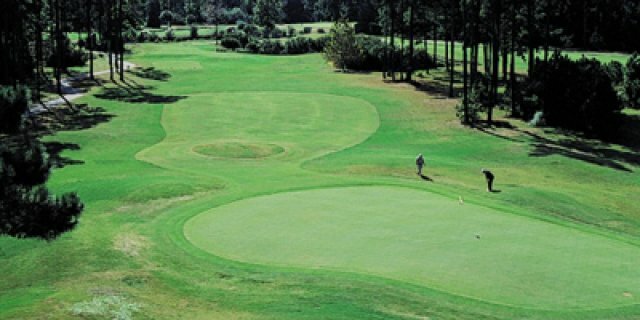 Affordable rates, convenient location, outstanding service, and challenging golf, only at Whispering Pines golf course! Book this course on the East Coast Package. Nice course for the money. Staff was very nice and helpful. Got paired up with 3 really nice guys, which made the experience even better. Course was crowded, so pace of play was slow. Staff attendant came around several times to fill us in on the pairings. Would play Whispering Pines again. Very challenging golf course with fast greens, great service and no-add-ons or fees that the other courses charge you. When they tell you it's $40 for greens fees it's $40!